This week for Frugal Tips Friday #5 we’re going to discuss how we treat ourselves without spending money. I suppose my favorite way of treating myself without spending money is to take my camera and go someplace like the Rose Garden on Peoria and take photos for an hour or so. And then I usually swing by Swan Lake to take more photos. It relaxes me and I so enjoy photography. Over 20 years now I’ve focused in on photography and it is both my hobby and work as well. Sure doesn’t seem like work to me! Also I love my fenced patio. I enjoy gardening in containers and then taking photos of them as well. I spend so many wonderful hours just staring at the blooms and plants and herbs. And gazing doesn’t cost money. Another way I treat myself are reading the free books I get, both on my Kindle and in the mail. At night I spend many enjoyable hours reading. I realize I’m very lucky to get this books free of charge. Rearranging things in my apartment is also fun for me. I always enjoy a slightly new look. Being with Ivy and Charlie is up at the top of the list of ways of treating myself. They are such a daily joy. I also enjoy having a frozen meal ready that is like a TV dinner in convenience, but is my own cooking. The other day I made taco soup and yesterday I spooned up six baggies of individual meals for days when I can’t think what to eat or am too tired to prepare another meal. Just gazing out my patio door is enjoyable. I enjoy the simple things most of all. And nature does not have a price tag. 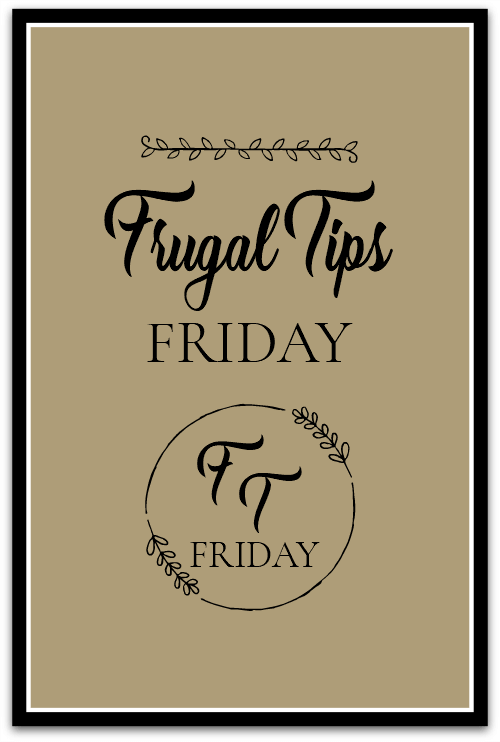 Please give me suggestions on future Frugal Friday post ideas! So what do you do to treat yourself without spending money? Note: Tomorrow I will tell you about what happened with Social Security. They did not call yesterday, as promised, so I went in to the local office. I will tell you all about it tomorrow. When I have the energy I like to piddle around my house. It is fun to rearrange drawers and cabinets. It is fun to sit by the fireplace, also. I enjoy sitting in front of my little Duraflame stove. It doesn’t go off and on anymore per temperature and I figure this might be the last winter for it to work, but I’ve enjoyed it. I am really enjoying reading all my free e-books and audio books from the library!! I am absolutely flying through books now…and audio books make every chore more enjoyable. One of the best ways I love to treat myself is to sit on my swing and enjoy the sounds of the mountains all around me. I look forward to spring when that will be a regular treat once again! Aw, I miss having a swing. I enjoy knowing you come home to your mountaintop home and have that vista before you. I’m also flying through books. Think I’m going to start listening to podcasts. Also doing little things around the house,changing furniture,putting different throws out. Like you said,spending time with my 2 kitties which is usually good for a laugh or 2! Oh yes, the critters keep me laughing. I too enjoy my Kindle. It’s easier on my hands than actual books. Thank you for these Frugal Fridays, Brenda! I’m discovering how frugal I’ve been my whole life! Another way to read free books and avoid the libraries is to download the apps for free ebooks to check out that your libraries subscribe to. I just finished downloading cloudLibrary and OverDrive. They have limited magazine titles, too! I also love walking my two rescued Irish Setters. It’s good for them, it’s good for me. They are both 8 years old and notice everything. After almost 50 years of marriage, it’s often difficult to decide what to fix for dinner so I scour the refrigerator and pantry and plan something to use up this and that. I don’t like leftovers, so I’ve scaled down my quantities considerably. I taught school for 38 years in reading and math intervention and I just love reading with my granddaughters. Maybe a topic for a Frugal Friday could be talking about our hobbies or making things. It’s not always cheaper, but very satisfying. Hobbies: good idea. I need all the suggestions I can get because I’m running out of ideas! Hi + 🌞good morning Brenda. Comments above were great freebies! Yesterday I saved 💰 some dollars. Used up, & baked an 🍎 apple crisp. Also had a nice big pear to add. Very 😋 delicious. Fruit was sweet. Only used a few teaspoons sugar. Usually my sister cooks meals. Less pricy than takeout. Salads, homemade 🍕 pizzas in our skillet is excellent. I also love fixin up “Sloppy PIZZA Joe’s” with ground chicken. I make extra (plain) for our lil gals ,,,,, Missy & Gidget. All okay & good examples for “Frugal Friday’s” ,,,,, ❤ Then, there’s always a nice feeling staring to read a new library book!! Fun weekend to you Brenda. P. S. Love Charlie & Ivy Lou stories! I love starting a new book. I wish I was a creative cook. I’m just not. I’m surprised you didn’t mention your writings. Keeping a “journal” of sorts is my entertainment and relaxation and therapy. Just jotting down whatever is in mind – what I’m reading, what I had for dinner, memories, things I’m grateful for and even some current gripes (ie politics) – whatever. I like to imagine/pretend that someday my grandkids will get a kick out of what their Nana thought about. I read that the actual writing of something helps you to work through things like trauma, problems, etc. It’s how I sort things out, to write my blog here. I have heard to write in a three ring notebook with colorful dividers so that you can focus on one event at a time. Reading free ebooks, spending time with Molly, sitting either on my porch in my rocking chair with Molly, a good book and a cold drink, sitting on neighbor’s porches in the evening just hanging out, spending the evening working on a needlepoint project with Molly by my side. The simple things are the best for me. Yep, that was me. As a matter of fact, batch cooking is what I am doing this weekend as I finally ran out of the lunches I had made over Christmas break. I’ll check out that link! Thank you! Oooo…I just signed up for this. Thanks so much for mentioning this newsletter, Brenda! I’m happy to hear how readers are utilizing their libraries. The libraries need to be used in order for them to be funded. The electronic resource is a wonderful thing for me. I check out books as well as we don’t have issues with bugs here in MN. I like to listen while I assemble jigsaw puzzles, sew, cook and most any time I want my hands free. I see that collage art is big again. Think of all of the free (discards) materials waiting to be used. I still have graphics left over from a long ago Mary Englebreit calendar! Just chiming in, love your blog and read everyday. For frugal Friday’s, how about repurposing from the second hand store, just an example, take a sweater apart and knit it into a scarf, I know this only works for crafty people, but I am sure there are a lot of other things to be reworked. I made the grandkids raggedy quilts from men’s flannel pajama pants. They all love them. Great idea! I will write in down in my future post topics. Stay in my pajamas all day! Take a bubble bath! A lot of my things are the same as many…. going for a walk, playing with the fur babies, cooking, reading, gardening. Sometimes an evening of pampering is much needed… a hot bath, face mask, give myself a pedicure. Give yourself a pedicure is a good one, especially if you put your feet in a bowl of (not too) hot water for a while to start with, and at the end finishing with some lovely foot cream that maybe someone bought you already! And of course, reading a book either e or tree that you had in the house but had not read yet, is free too. Also, get yourself a cup of coffee or tea and sit down and do your housekeeping paperwork….. OK it’s not interesting, but you feel so good when it’s done! I wish I was more of a creative cook. I’m kind of a dud when it comes to food though. Love the Great British Baking show!!!! My frugal treats include enjoying my cat and reading my two favorite blogs, Cozy Little House being one of them! Oh, you’re so sweet! Will write these down! Another frugal topic suggestion, all the different types of thrift stores available to us in person and online. I just recently found out there are three different types of Goodwill stores for example. Thrift stores are really benefiting from donations from everyone who is into paring down their possessions (the KonMari era). There are some very good frugal deals as a result of that. Another topic idea, what is the best deal you’ve ever gotten from thrifting. In the summer I enjoy my outdoor area that I set up like a whole little extra living area with my radio and a homemade mocha iced coffee. I also love sunsets, spending time with Baron who has become a character! I would love to learn how to bake homemade bread. The pictures of the flowers yesterday were beautiful. When I was in my twenties I would make homemade whole wheat bread. Those things were so heavy if you threw one at somebody you’d probably send them to the ER. I love that you use your outdoor eating area as a living space. I do too. More so before the gazebo fell apart. I got my ingredients from the local health food store. So we’re talking good whole wheat flour. That is my worry that stops me from trying yeast bread I do not want to waste the ingredients! I will be trying to nurse my offset umbrella through another year! I have sometimes spent a whole day out under it with a book. I have discovered you on pinterest and follow you! You have so many great boards, you’re an invaluable resource for me. Thank you! I’m 72. I’ve been married for fifty years, and have had wonderful hot water for all of those years. But that wasn’t the case for my first 23 years. I’ ll never get over the awesome feeling of a bath as hot as I can get it! – and enough water to have an automatic washer too! Good one! The simple things are important, aren’t they? I use to love to mow my grass and keep a garden. I had a heart attack in Dec. and realize that steep hill is going to be too much for me. Thank goodness there is a nice handyman that mows grass for all the seniors at a reasonable cost. I think I will try a small garden this year . I love to give fresh vegetables to all of us on SS. It saves them money that they just don’t have for fresh vegetables. You might want to consider container gardening. No digging in the hard dirt. Easier to get to. I have a little plastic garden scooter I bought in 1998 from Walmart and I still scoot all over the patio tending to plants on it so I don’t have to get up and down as much. Anything that holds dirt can hold a plant. I have plants in the crevices of a piece of driftwood. Would just be easier health-wise I think. Thank you for this bit of info about gardening. I would like to try it this year and since I have had no previous experience every bit of info is a help. Please consider making gardening frugal a topic. Oh my! You’re not far from me. I’m on 59th and Lewis. I too grab the camera or a good book! I also like to slather on a homemade face cream using honey and just sit and relax for an hour! Love and hugs! Well I could never put honey on my face, but then I don’t like anything on my face. So it wouldn’t matter what it was. But if it works, great tip for other women! The references to cooking reminded me of a frugal pleasure my sister has: she often will read a cookbook in her free time! This is not something that is appealing to me, but she enjoys it quite a lot. It wouldn’t appeal to me either, but I know everyone is different. And that’s great! I collect cookbooks and read them cover to cover. I especially love vintage ones. I absolutely love reading cookbooks! But then again, I love to cook. And bake, too. i just remembered something that I did to stretch boiled potatoes when I was cooking for 6 of us. slice halved boiled potatoes, melt butter in skillet, break stale bread into chunks the size of the potatoes, stir all together and heat until bread starts to brown. My daughter still makes these sometimes, she prefers them that way. I’d never have thought of that, but it sounds good to me! Since I have to sit for much of the day while I work from home, it is a treat to get up and stretch or take a walk. I wanted to learn some basic yoga and found a good beginner series on YouTube when I did a search for “yoga for dummies.” In the spring/summer/fall I like to walk around the neighborhood while listening to a good audio book. You can find a lot of the classics online at loyalbooks.com, where you can download chapters to your computer or portable device and take along with you. I also listen to a lot of podcasts with the free Stitcher app while I do other things around the house or work in the sewing room. I just signed up with Stitcher today! I didn’t know a thing about it until I started searching podcasts. Which I’m going to be listening to after my Social Security benefits start in the next few months. More about that tomorrow. Brenda, if you are new to podcasts (and haven’t heard this particular one before), be sure to listen to Serial. From what I’ve heard you discuss on your blog, I think you would really like it. I think it was an NPR podcast, but just search Serial podcast. SO many good podcasts out there! I love learning! YouTube is a fantastic, cheap way to discover all sorts of new things. Baking, photography, gardening, decorating, crafts. Currently, I’m learning to hand-letter and watercolor. Two very inexpensive hobbies. Beautiful lettering can be achieved with just a pencil! Oh and Brenda? Thanks for the Pluto TV suggestion. I enjoy watching old game shows and Pluto carries the channel Buzzr. I’ve been watching Password and Match Game reruns everyday. I agree YouTube is a great resource. I’m glad you were able to utilize Pluto! That makes me happy that you’re getting to watch the old game shows you enjoy. I remember those shows! Walking is one way I treat myself — I either walk through the historic districts of the city, drive to the beach and walk barefoot in the sand, or walk through the various neighborhoods close by. There is always something new to see. At this time of year, the right whales have ventured south to birth their calves and then to fatten up before heading back north again. Watching them slap their tails on the water is such a treat. And I never tire of watching the dolphins, the shore birds, dogs chasing a ball, etc. Also, it is nice to visit the various art museums and art galleries in the area — no entrance fee so the visit is free. In this area, we have various free guided tours — bird watching in the parks, nature walks through the parks, etc. You do not pay an entrance fee to most of these parks and do not have to participate in a guided tour — usually there is a self-guided map available if you want to branch out on your own. The library is a wonderful way to treat yourself. I am fortunate that I can walk to the library and I sure take advantage of this resource. Our library just offered free tax assistance and it looked to be well attended. Also, our library offers many free classes — yoga, local history, local artists, local novelists, retirement options, etc. And for decorating inspiration, I will sometimes tour houses that are on the Open House listing for the week. Thanks for presenting these Friday topics. I have really enjoyed reading them. And I enjoy all of your wonderful input! Debbie, I really enjoyed reading your post, along with all the others here ! May I ask where you live ? There are no whales anywhere near me ! It would be interesting to know where all the posters are from. Would this be possible Brenda ? Like in my case, I wonder if the name could just say Amber from Ontario, Canada ? I don’t have a way of doing that. Sorry. If that person has a blog, for instance, it will go to their link. Their name would be highlighted like mine is in green. I live in Saint Augustine FL; the whales only visit during the winter months but it is such a treat to see them when they “vacation” here. There is a wonderful restaurant oceanfront and they entertained the patrons for about an hour one afternoon. I am so hoping to catch sight of them again this year. I’d like to see frugal topics on saving on clothes any shoes, saving on technology, and shopping at thrift stores. Someone suggested listed the best thrifted deals and that sounds like fun! I’d like to share a couple of recipes. I missed that topic previously. I take flour tortillas and put some shredded Mexican cheese, diced tomatoes, onions, and mushrooms in them. Fold them in half and sauté them in a little oil in a cast iron skillet. They are very good. I serve them with some salsa and chips and some fruit cocktail. I also make an egg bake with a dozen eggs, some onion, an eight ounce bag of Mexican cheese, a large can of mushrooms, and a small can of tomatoes and green chiles. Mix all together and bake in a 375 degree oven for about 35 minutes. It makes enough for the three of us. It’s very good. I really enjoy your blog, Brenda, and this is my first time posting. The Frugal Friday Posts are something I especially look forward to. If you would not mind, I would appreciate it if we could share the addresses for some other Frugal Sites. I have not found too many, but then, I am not that good on the computer. Horticulture is my main hobby. In the summer I have a huge garden, and my back porch to enjoy. In the winter I putter around with my houseplants, and attend Garden Society meetings with my friends. I live in a small town in a rural area so it is all very informal, but lots of fun. We share plants, and gardening information. Because the birds need the seeds in winter, I leave many garden plants standing, and in winter I enjoy sitting near a window and watching them eating their garden treats ! We have lots of ice and snow on the ground now in Ontario, and yesterday the little birds were coming to the dead sunflower heads near my kitchen window, making sure they got the last seeds left ! Having that row of tall old fashioned sunflowers that grew from birdseed several years ago, and re-seeds every year, has provided me with so much pleasure. They are beautiful in summer, and in the fall the goldfinches and chickadees just flock to them ; of course there are all those gorgeous saucy bluejays ! I am in my kitchen a lot in the late summer and fall canning tomatoes and making crab apple jelly etc. so it is wonderful to have the birds just outside the window for company. Share away! In the past couple of years I have started leaving plants through the winter and enjoy watching the birds. When I was growing up the Boston Globe newspaper ran a column weekly called “Confidential Chat” in which readers using pen names exchanged recipes and helpful domestic tips. My mother read it faithfully and copied recipes which she herself used for years. It was where she found the idea of tackling a household project 20 minutes at a time. With a family of 8 and no modern appliances, it’s all she had time for! These Frugal Friday exchanges are reminiscent of that column and I’m so happy to read other’s suggestions. Brenda, I appreciate that you have opened up your site to help us feel we’re not alone in our day to day activities, struggles and joys. books as I bake a big batch of soup or other comfort food for the week. I’m glad you feel that way. I want this place to be a forum for women to share. I used recipes from Confidential Chat when I lived in Boston and Newton Centre fifty years ago. A treat for me is a hot bath with a candle burning. Also, spending time outdoors, nature is always a treat. Libraries of course and sometimes I go to a river or lake and sit and watch the water. Every one has such good suggestions. If I go anywhere like a lake I have to take my camera because I don’t want to miss anything that I could show you! My top happy place is studying my Bible, especially if I have a good study guide. Lots of both available free online! Oh yes. Crafting and hobbies is good for everyone. Free ways to treat yourself…give yourself a manicure and/or pedicure; go to the library and get free books (I don’t do any e-reading); listen to a favorite Podcast; soak in a bubble bath…bonus if you light candles; go for a walk around your neighborhood and take photos; take a nap; play with your pets; sit in a favorite chair or lie down on the couch and indulge in a magazine or a good book; go to a museum on one of their free days; bake a yummy treat and then have one with a cup of tea; watch a movie (if you don’t have Netflix or any other streaming service, get a free DVD from the library); do volunteer work (yes, that is treating yourself, too – you get back what you give); work on a jigsaw puzzle, crossword puzzle, word scramble, Sudoku; work on a craft that you enjoy…scrapbooking, knitting, art journaling, sewing, etc; take a walk and pick wildflowers and put them in a pretty jar when you get home; give your hair a deep conditioning treatment (there’s even “recipes” online); write in your journal; start a gratitude journal. I’ve looked at these hair conditioning recipes online because my hair is so dry. I have them all on a Pinterest board with homemade beauty recipes of all sorts. Hi Brenda, I have to say I really do love your blog, and the Friday posts are fun and practical. I’m a big fan of practical. Like many of the commenters here, I listen to podcasts, read books from our local library, and go to the excellent parks in my town. I also work on my hobbies; while they are not free, they are low cost. They include watercolor painting, collage, cross stitching, and flower arranging. And finishing up projects that have been sitting around for a while feels like it is free! How many of us have books, craft projects, and other things we have around the house that we’ve neglected but that can be put to use? I know I do! There are also lots of beautiful churches of all religious backgrounds in my town that you can tour. For example, there is a massive Hindu temple nearby that you can tour; it makes me feel like I’ve been to India but I’m home for dinner. Also, some small museums are free around here. Another idea: on the intranet search for “free things to do in ” for local ideas. If you have enough interest from friends and family, host a swap. It could be like a tea party with light refreshments – or better yet, a potluck. You could swap stuff you’ve used and won’t use again, but is still in perfect condition. You could narrow the theme of the swap to just books, or just clothes, costume jewelry, Christmas decorations, etc. I would love to do this, but most folks in my life like to hang on to things. Not me; I like to use it, then move it on! How about frugal gardening tips for a subject? Already have that one written down! Well today is very snowy…and the roads and people in these parts, most of them, are not adept at driving…so we will be staying in for some days. Hubby has a bad cold and so I am making chicken soup. When I use some canned chicken for a sandwich, etc, I drain off the juice and pour into little jars I have in the freezer…so that will make a great part of the broth, though I also add a quart of broth if I have it. Then I see what veggies in freezer or fridge need to be used and today: leeks, green onions, carrots, celery, and about a cup of chopped cabbage. I have a fairly large pot I make it in so we have it for a few days (or freeze leftovers). I keep on hand (from Costco, or other stores) dehydrated things: garlic, red onions, white onions, dill weed, parsley, chives, and then a large can of canned chicken. Plus after all was cooked, I brought to a boil and added some pasta called chickepea pasta from a company called Lensi. It is a product made in Italy and tastes plain wonderful…you would never know it was garbanzos…my veggie hater hubby will not know tis all veggies with a bit of meat!! I think it was Walmart where I got this pasta. I am not sure this is a saving money idea…but using up food we already have on hand is good economics. PS…well, I forgot to mention a bit of broccoli added to this soup makes it seem to help sickness quicker…and tastes ok too. Boy, you’ve got some great tips! I enjoy coloring. A lot of my friends give me adult coloring books and colored pencils. Time passes quickly because I get absorbed in coloring. Sometimes I will print out a picture that I like in black and white and color it. I have games that I play on the computer and word search puzzles. Sometimes I will even clean house to pass away the lonely hours. I see that lots of people color these days. I can’t do it now because of my hands, but maybe someday. I don’t know if someone has suggested this idea for Frugal Friday. How about Frugal Gardening Tips. Just an idea. I’m really enjoying your Frugal Friday posts. Already had it written down for the future. Figured I wait closer to spring. I love Frugal Tips on Friday. I do read a lot on my Kindle and I do love cooking. Once a week I cook meals and freeze them. So many of the things that have been mentioned I love to do. Walks with my dog, reading, knitting or crocheting. I just love to sit on my porch and listen to the quiet in the summer time. Your porch is my patio! I am such a fortunate woman! 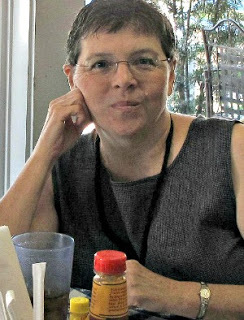 After working part-time from the time I was 14 until I graduated from high school a few months before my 18th birthday, and then going to work full time for the next 46 years, I was able to retire at age 63. Now, every day is a treat to myself. I do what I want to do, when I want to do it, and if I don’t feel like doing it today, it can wait until tomorrow, or whenever! This is the greatest treat I’ve given myself, the ability to be able to retire early, live comfortably (but not what I think of as high on the hog), and I am thankful to myself every day for being disciplined enough to start saving at an early age and later realizing that I could learn how to invest for myself thanks to the principles I learned from the National Association of Investors Corporation – a/k/a “Better Investing.” Knowledge is the gift you give to yourself that can never be taken away from you. So true about knowledge! Like teaching a guy to fish instead of giving him a fish. As do most of your readers, I love to read, and have a good supply of books in my library, that will take me through many winter days. What I really enjoy is learning to play Boogie Woogie on the keyboard. When we downsized several years ago, to a much smaller house, I was forced to sell my baby grand piano, and I really missed it. So I bought a keyboard from Amazon, small enough so it doesn’t take up a lot of room, only 3 feet by 1 foot, and fits on one of the tables in my craft/studio. I’m not very good yet, but I really enjoy playing, and hopefully with practice, I’ll get there. Practice is the answer, and it does take up a lot of time. A couple of hours go by before I know it. I do paint and draw, and keep several art journals, so my hours in the day go quickly. Lots to do, without spending any money. Great conversation here, fun to hear what others are up to. I’d like to try art journalling. But I can’t even write my name legibly. Love this series…it is SO practical and helpful! I also LOVE my library and love my little patio. Something I don’t think has been mentioned is to try to find lists of free things to do in your community. 1. Facebook Goup: Saving Money in…. (my Canadian prairie city). This group lists things that are happening in my area that are free. Concerts, readings, gallery openings. The museums and the zoo in my city will have free admission days and you can bet I will put those on my calendar! My health doesn’t allow me to do things very often but I have had some amazing free experiences this way. I still have a car and my neighbour had to sell hers so we head out together with our lawn chairs in the summer and our parkas in the winter. 2. Our independant bookstore hosts author’s readings and sometimes topical panels. Free and we sometimes stay for a cup of tea. 4. Our local CBC station (think NPR) will often list free events happening on the weekend. If I don’t have to pay I will try something new I know little about. Stretches the mind. 5. My church is a source of community and fellowship for me. It is also a place where I can experience free concerts, coffee houses, sometimes movies and theater productions. I just wish I was well enough to take advantage of all they offer. A potluck can be just as much fun and taste even better than a fancy restaurant. 6. Quilting – is an expensive hobby but the women in my quilting group periodically have a stash buster night where they bring fabric and notions they no longer want/need. They now let me go first to pick what I need. It’s humbling but they love that they have found a way to help me that I can accept. I collected green fabrics for a few years and made a very manly double sized quilt for my brother this way. 8. Free day – twice a year my city hosts a weekend where you can put stuff out on the curb for others to pick up. If I am any way able to get out, I head out early in the morning with a totally empty car and trunk. It is amazing what people put out. Last year I got 4 pieces of art that “woke up” my house, new jewelry, new journals, a trike and a children’s bicyle, a plastic sandbox with a lid, and classy shopping cart for my neighbour. My life situation isn’t easy but by being willing to admit it is what it is I am often amazed at how abundant it can be! Well, you can’t beat that treat! I envy you that. Oh Brenda these are more luxurious tips than frugal! I’m also an introvert with social skills but my time reading, putzing around the home, pets, etc. are what sustain and recharge me.